COLUMBUS, Georgia -- One baby shocked its parents after "saluting" them from the womb. 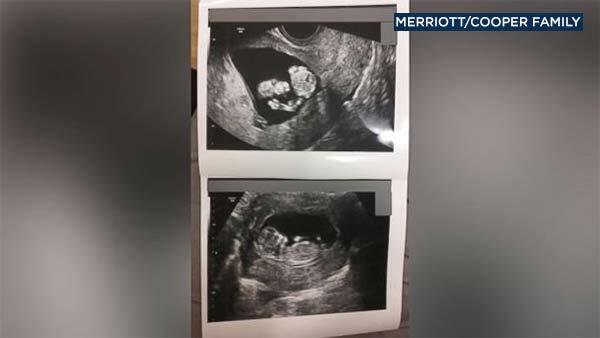 Mehgan Merriott and Robert Cooper, a former marine, told ABC News that their 12-week-old baby raised its hand to its eyebrow like a miniature soldier during a routine sonogram appointment on Sept. 12. 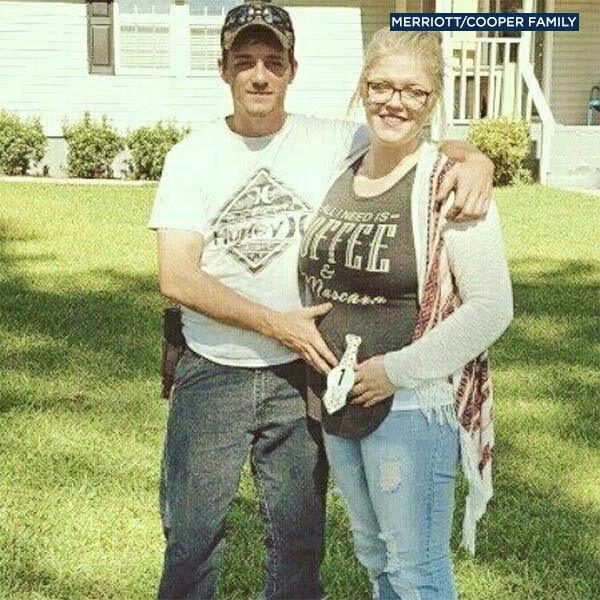 "While they were doing the sonogram the baby was actually sleeping on its side and they tried several times to get him/her to wake up to take the picture that they needed to take," Merriott of Columbus, Georgia, said. "The baby didn't want to wake up, then threw [its] hand in the air and then threw it back down." "I almost cried," she added. "I thought it was sweet." Merriott said her obstetrician, Dr. Daniel Eikleberry, and his nurses enjoyed the moment as did her 3-year-old son, Cambden. "We thought it was pretty crazy at first," she said. 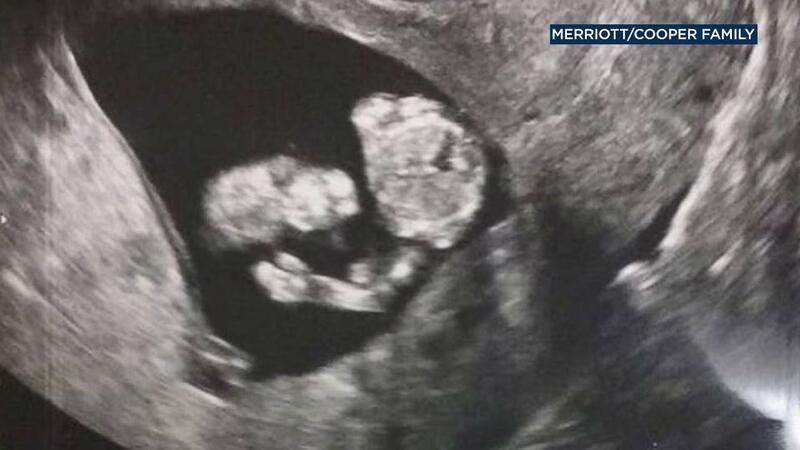 "The doctors, nurses, my son was there...he looked up at the screen and started laughing." ABC News reached out to Eikleberry for comment. "I really enjoyed getting to see the little guy/girl and look forward to meeting him/her," Cooper said. "I'm sure it's going to be a handful." Merriott said her baby's paternal grandmother plans to hang the photo of "the salute" on her wall in honor of his dad and grandfather who served in the army. The couple will be hosting a gender reveal party Sept. 24.